All the below links open in a new tab/window so you don’t lose your place here. Write to Done: How Much Should You Write Every Day? This post stirred up some great comments, and it’s been fascinating to see how different writers approach their work. As a younger and more anxious writer, I tried and failed to follow advice to hit some magic number of words (often 1,000 words per day) … but we’re all different, and I wrote this to help you find the right routine for you. 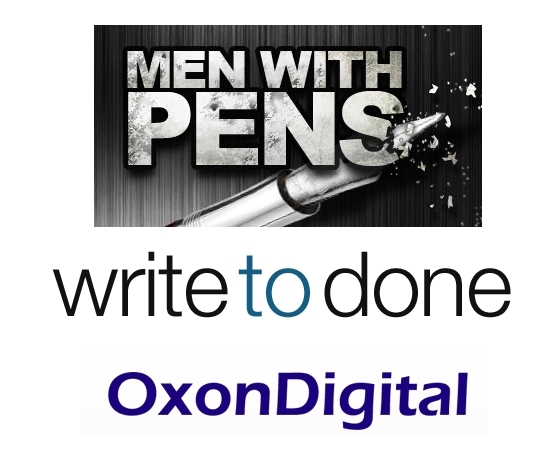 In case you didn’t guess from the Men with Pens guest post, I’m a big fan of ebooks (in fact, I’m writing the book on them … Publishing Ebooks for Dummies, scheduled to come out this September :-)) but I’m also aware that an ebook is a pretty daunting project for many writers and business owners. Heads-up! From April 23rd to May 18th, I’m going to be on a virtual book tour for my novel Lycopolis, visiting lots of different writing-related blogs in the process. Best of luck in your tour, Ali. Knock ’em dead! And if you happen to be in the Harrisburg, PA, USA, area for April 14 or May 12 and want to speak at a small, local writer’s group we’d love to have you. If you can make it drop me a line and I’ll give your more details.